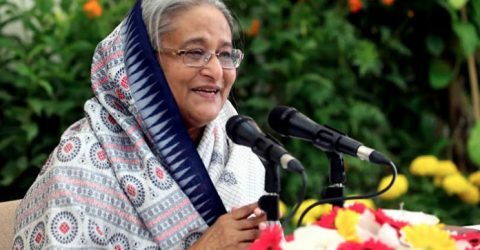 DHAKA : Prime Minister Sheikh Hasina on Tuesday asked the police personnel to discharge their duties with patriotism saying they will have to be people-friendly ones, reports UNB. “Police have to discharge their duties being imbued with patriotism for turning it as a people-friendly force,” she said. The Prime Minister was addressing senior police officials at a function at her office marking the Police Week 2019. Sheikh Hasina also put emphasis on earning trust and confidence of people by the police. 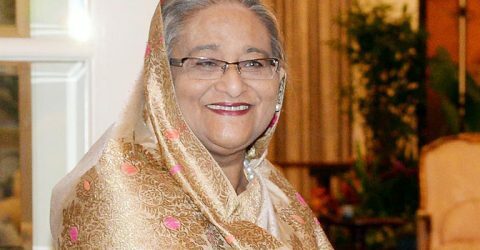 “Police personnel will have to work with sincerity to develop Bangladesh as a modern and prosperous country,” she said. The Prime Minister asked them to conduct police investigations properly to combat crimes saying there are some limitations in dealing with cases. 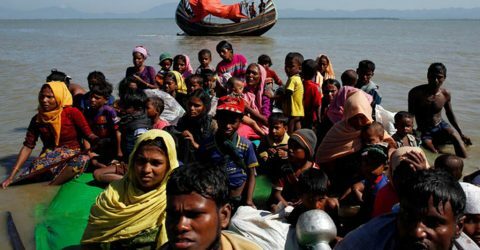 Hasina stressed the importance of submitting charge sheets and producing witnesses before the court in time. 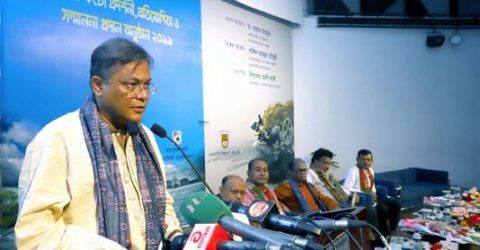 Highly praising the police for their successes in stamping out terrorism and militancy, Sheikh Hasina stressed continuation of drive against such social menaces. In this regard, she mentioned that the police must have a special strategy to combat terrorism and militancy and boost their intelligence. 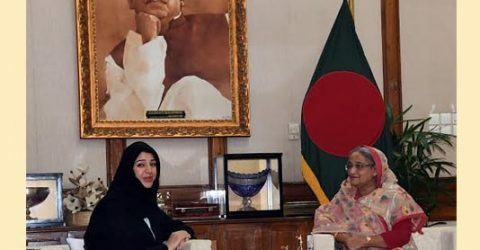 “Police will have to take action against drugs and corruption drastically as corruption creates obstacle to economic development, while drugs destroy a family,” Hasina said. The Prime Minister said the police personnel will have to work in a way so that all citizens get the security of their lives. About the Digital Security Act, she said the law has been enacted aiming to ensure the human rights of innocent people. 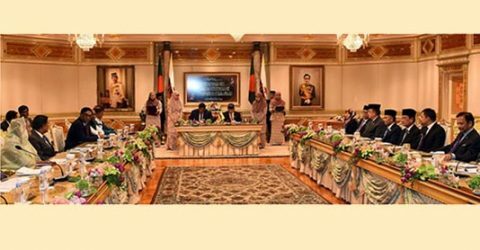 Hasina asked members of the police to take legal measures against criminals identifying and arresting them following the due process. The Prime Minister laid emphasis on proper training of the police and said the government is constructing 100 special economic zones where specialised Industrial Police will be working. 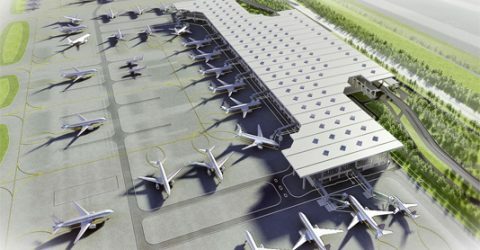 She stressed the need for imparting special training to other specialised police units like River Police, Airport Police and Tourism Police alongside the industrial one. 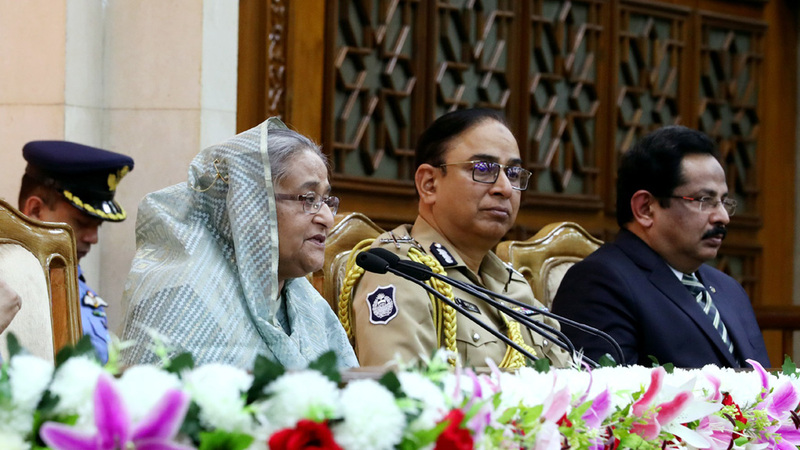 Hasina said the police personnel will have to move with immediate action taking into account the nature of the activities of criminals and added that specialised training must be imparted to make them capable of facing the situation. She said necessary steps will be taken to establish a specialised training institute for the police. 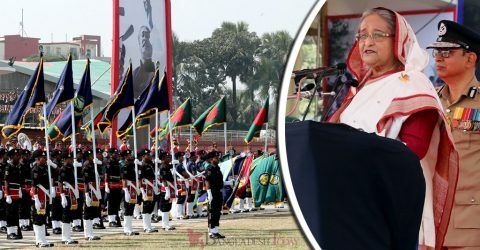 The Prime Minister called upon the police to work with dedication and outmost sincerity for the economic development of the country, and said the progress story of Bangladesh is not over yet. About increasing the manpower of the police force, she said more manpower will be added to various units of the police so that people can get their desired services. 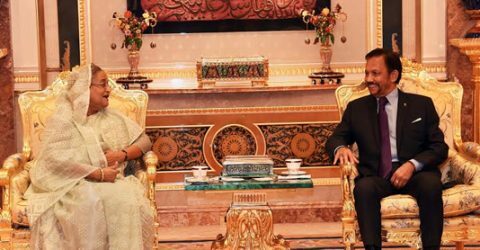 On various demand of the police, Hasina directed the authorities concerned to look into the issue of giving postings of the police personnel to various embassies and missions of Bangladesh abroad. 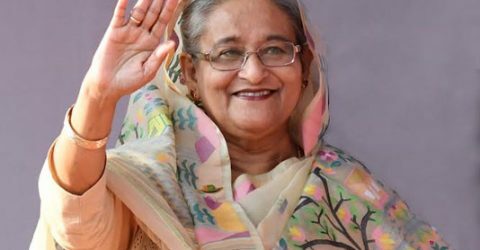 The Prime Minister said Bangladesh is marching ahead to be a middle-income country in the Golden Jubilee Year of Independence and a developed and prosperous one by the year 2041.